Sunday River’s Steam in the East Series. 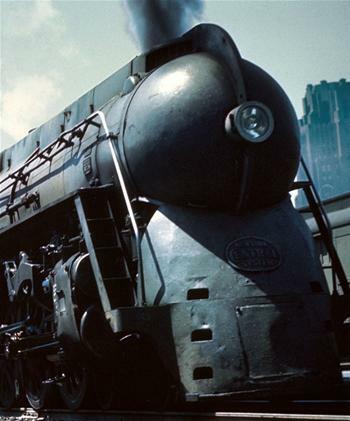 New York Central’s Hudson steam locomotive was one of the most famous steamers of all-time. A thoroughbred in every sense of the word. Hudsons were the power on equally famous name trains, such as The Twentieth Century Limited. 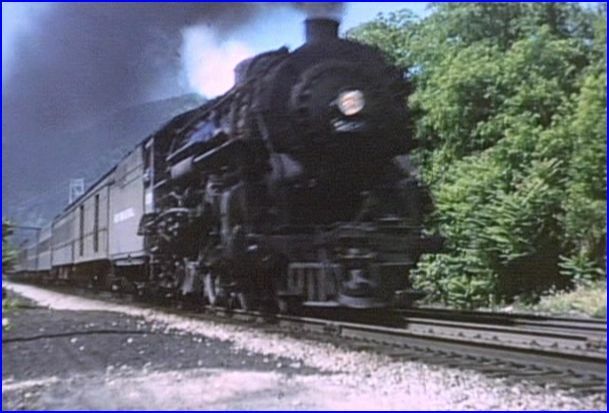 Arch rival Pennsylvania ran The Broadway Limited. Both roads offered the New York to Chicago, high speed service . Fast, powerful and dependable locomotives, were the foundation needed by New York Central when it went with a 4-6-4. 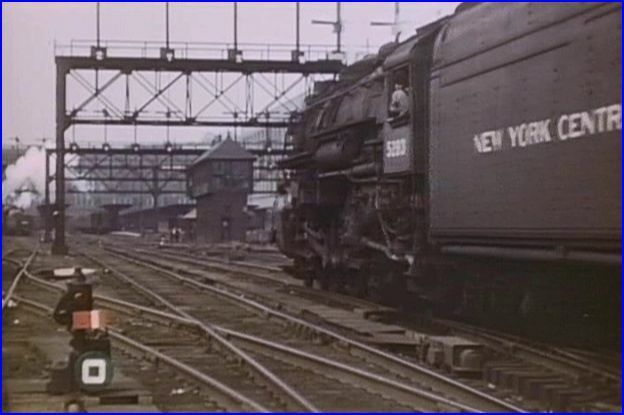 First in the country to implement the design was New York Central. 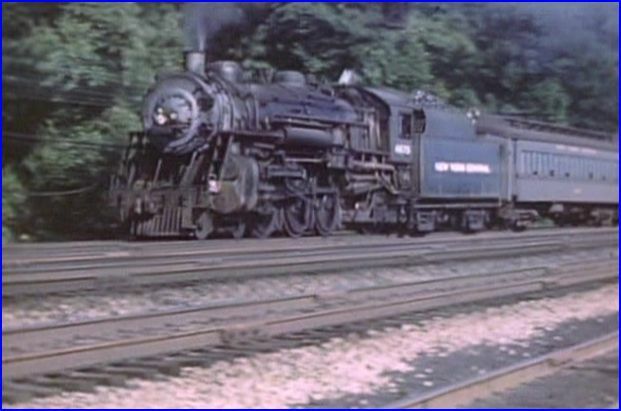 The 4-6-4 would have a starring role, with many responsibilities. The Hudson was up to the challenge. Digitally remastered in 2007 for best possible video and audio quality. Original release shown as 1988.The disc has a chapter menu. Clocking in at just under 30 minutes, Sunday River makes optimum use of the length. They do cover some other classes of Central steam. In fact, there are many shots of various steam power. Freight service is the initial subject. 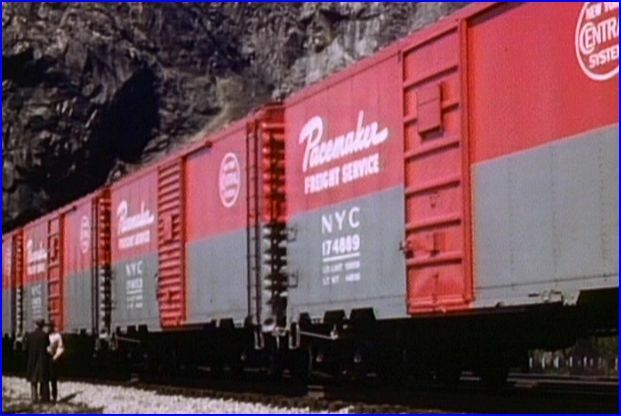 Memorable, is a long Niagara class steam locomotive on a Pacemaker freight, with all Pacemaker scheme boxcars, and even a matching caboose. Acquired from railroad film archives, this staged train looks mighty fine. More of this train is examined later in the show. It is a stunning looking freight! Branchline steam is viewed. The small steam engine,with a mixed train, looks like something right out of a Lucius Beebe book. There are other engines which are reviewed. Film bounces between years; using black and white, plus color. 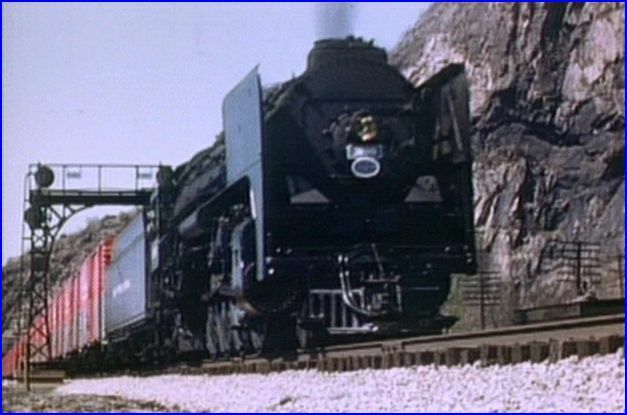 The first 4-6-4 Hudson class was #5200. 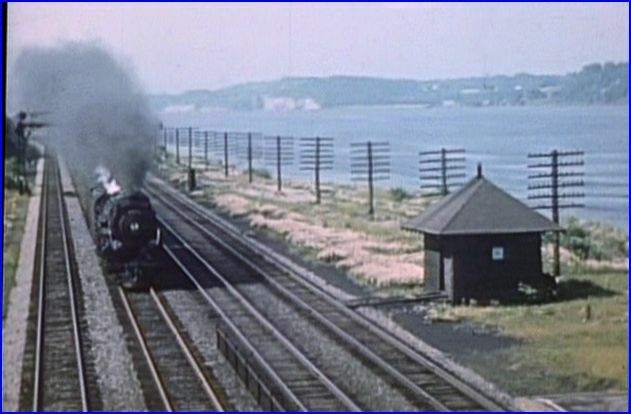 Alco was an online builder for New York Central. They built that one in 1927. This was to be the answer to larger and heavier equipment being used by the railroad. By 1932, there were 205 Hudsons on the Central. Curious to what Hudsons are show? There were 3 classes, beginning with J-1 types thru J-3. In 1938, Henry Dreyfuss designed the classic streamlined shroud. This was done for The 20th Century Limited. Running between New York and Chicago in 16 hours, or less, with 7 stops. 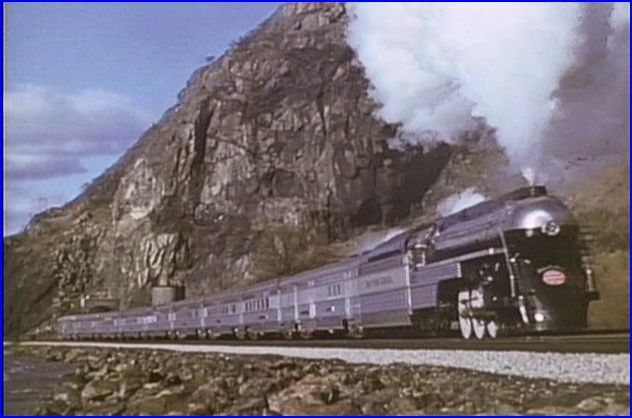 Another striking example is the stainless steel, streamlined Empire State Express. That one is viewed in color runbys. Watch for those striking consists. 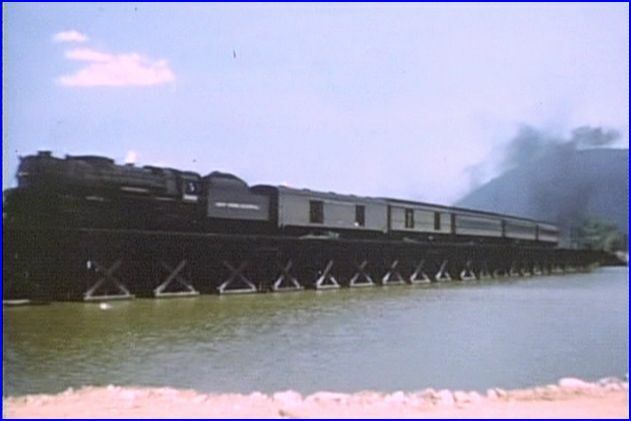 The majority of Hudson class, are the standard, black locomotive. The design is a classic, in all incarnations.The front smokebox might be the definitive face of a steam engine. Simple, yet elegant. Sunday River has some fine trainwatching sequences with top-notch synced audio. A multitude of varying trains speed by the cameras. The fast paced segments are fun viewing. Slower switching moves have just the right amount of chuff and ringing bell. On screen graphics denote various locations. Feels like the viewer is within the scene. The narrator has much historical information to convey. There is limited commentary, in favor of some, straight railfanning. Resulting in a well-balanced program. Film quality is excellent for the entire show. There is a greater percentage of color film present, then I had expected. This recent remaster is very nicely done. Kids should like the action segments very much. It’s trains, trains and more trains. All steam trains. Passenger, freight, even some doubleheaders and light engine moves. I found the action, very enjoyable. The show starts calmly and the pace picks up, as the story progresses. A rather short and sweet 30 minutes. As the trains go whizzing past, it ends, seemingly too soon. 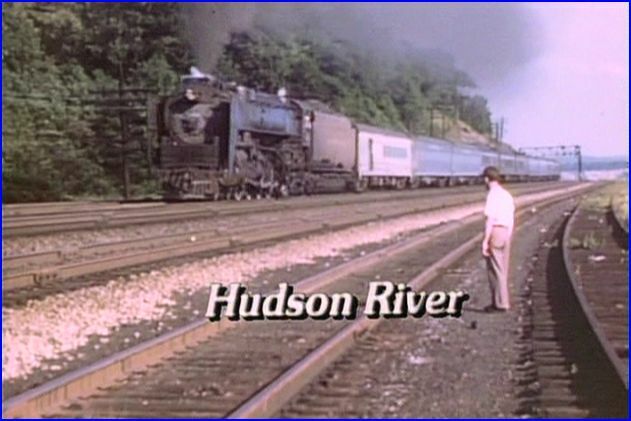 This entry was posted in ATVR Reviews, Steam Train Reviews, Sunday River Productions and tagged American Train Video Reviews, New York Central, Railroad, Steam, Steam engine, steam train, Train DVD, transportation by William J. Hudson. Bookmark the permalink.